Able to measure transmission rate of plastic bottles. This system complies with ISO 15105-2/JIS K7126-2. 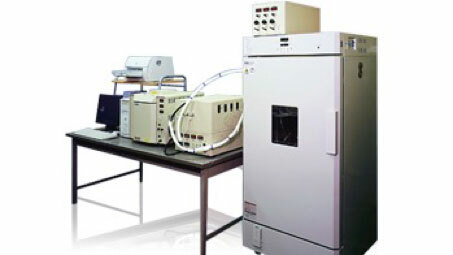 It uses JIS adopted gas chromatography that can measure gas and water vapor permeability for plastic bottles. It injects the permeate of gases into the columns of a gas chromatograph, separates them into each component, and quantifies the permeation of each component.